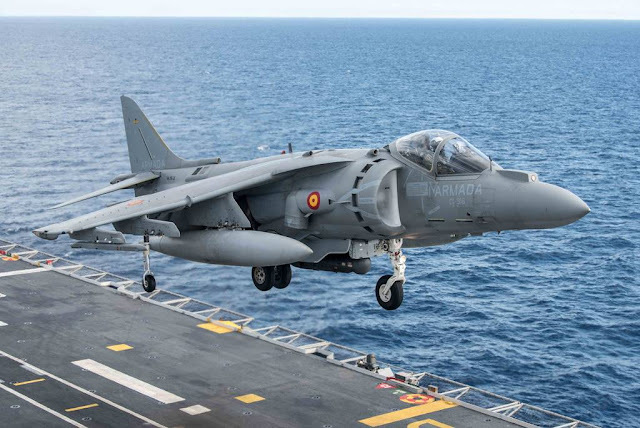 Twenty-seven naval units supported by maritime patrol and rotary wing aircraft from the navies of twelve countries are participating in the exercise. Spanish Navy Harrier II and two French Navy Rafales fly by ESPS Juan Carlos I after conducting an Air Combat training during Brilliant Mariner 17 exercise. 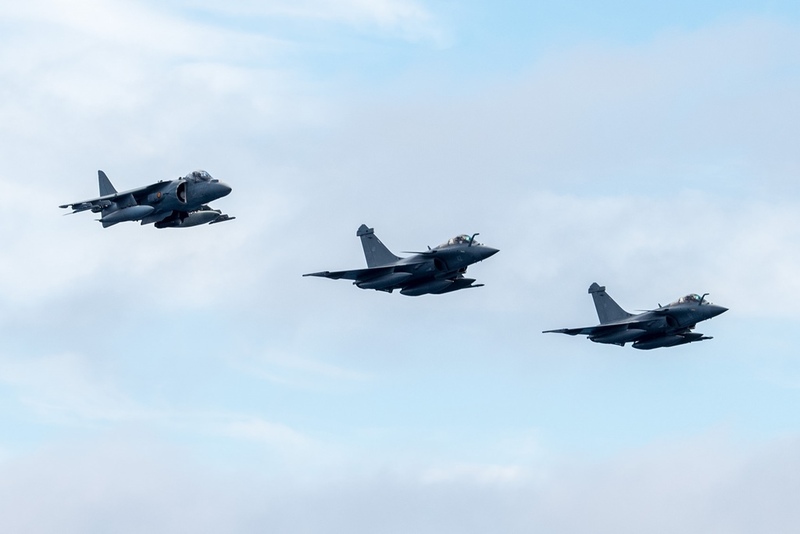 Three NATO Standing Groups participate this year with the French Aero-Naval Rapid Reaction Force (FRMARFOR) in exercise BRILLIANT MARINER 2017, a Non-Article 5 Crisis Response Operation Exercise designed to support the certification of the naval component of the NATO Response Force (NRF) for 2018. 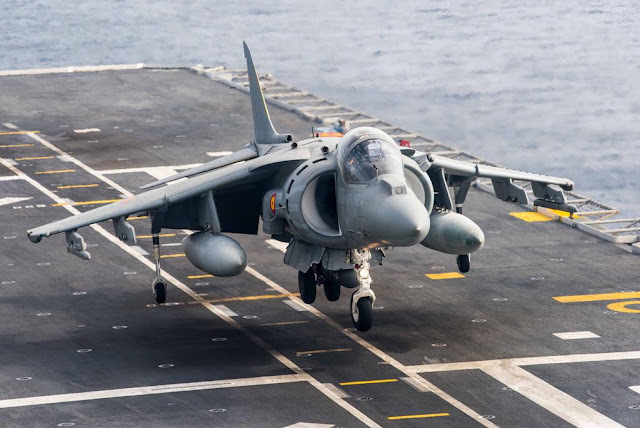 France is the host nation of this year’s exercise which is conducted in the Mediterranean Sea off the coasts of France, Italy and Spain between September 29 and October 13. The maritime commander for the NRF rotates among different groups annually. 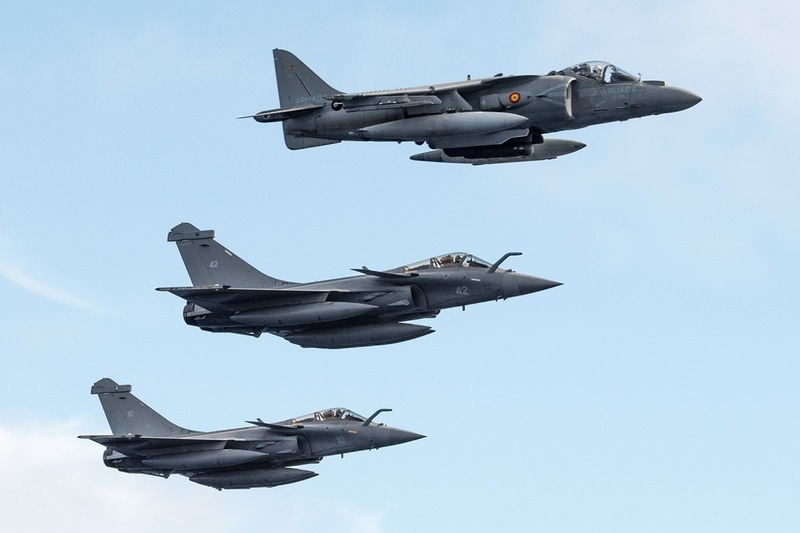 The French Aero-Naval Rapid Reaction Force will assume responsibilities as the Maritime Component Commander (MCC) for the NRF 2018. Currently NATO Striking & Support Forces (STRIKFORNATO) hold the role. 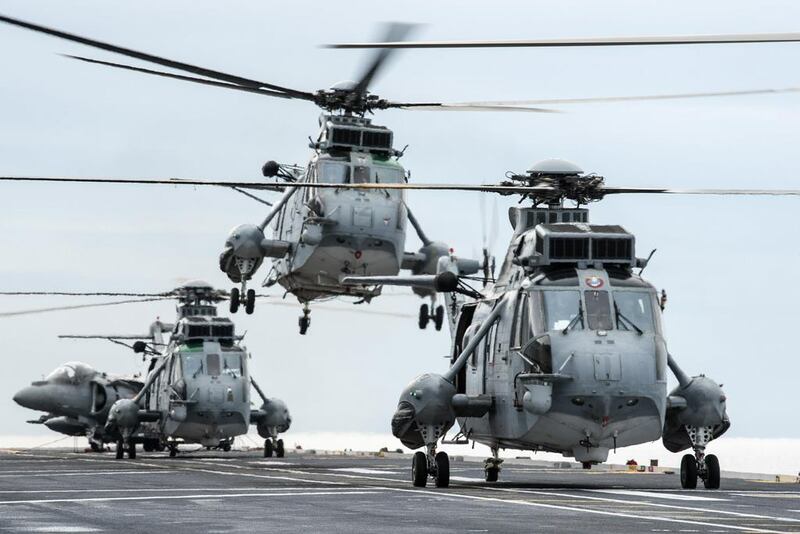 Ships from the navies of Canada, Denmark, France, Greece, Germany, Italy, Netherlands, Norway, Portugal, Spain, Turkey and the United Kingdom are participating in exercise BRILLIANT MARINER for a total of 27 naval units supported by maritime patrol and rotary wing aircraft. Exercise BRILLIANT MARINER 2017 will provide the opportunity to exercise command and control at the NRF MCC level enhancing joint collaboration while improving interoperability. Participating units and crews will evaluate their readiness and validate their capabilities simultaneously improving their knowledge, skills and abilities by operating in a demanding and challenging environment. NATO Response Force (NRF) is a highly ready and technologically advanced, multinational force made up of land, air, maritime and Special Operations Forces (SOF) components that the Alliance can deploy quickly, wherever needed, to strengthen the Alliance’s deterrence and defence posture and project stability beyond Allied borders.